On the 28th of March Ekaterina Glazyrina from Sverdlovsk Oblast won the first place at the Russian biathlon championship in the sprint 7.5 km among women. 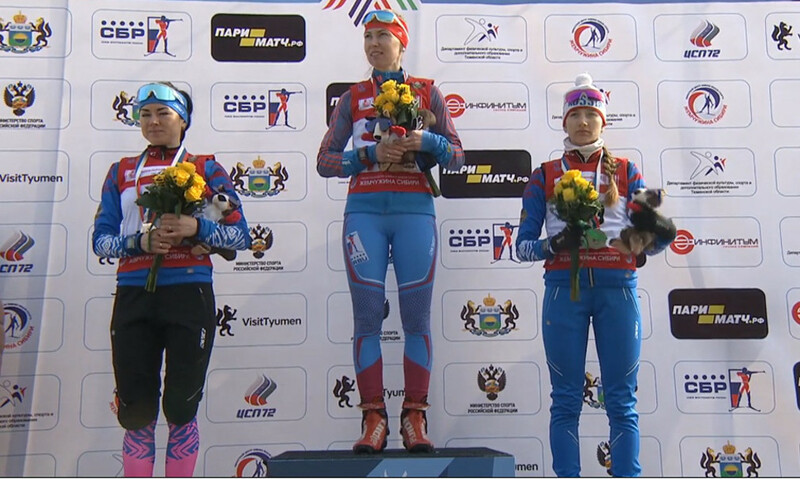 A sportswoman from Yamal Larisa Kuklina came second. The third place was taken by Svetlana Mironova from Sverdlovsk Oblast. The first race of the Russian championship was started in Tyumen. On the eve of the start the Russian Biathlon Union published the official statistics of the RBU rating. A sportsman of the Tyumen sports training center Alexander Loginov became the absolute leader of the rating. A gap of more than 300 points makes him unachievable in three races up to the finish of the season. His teammate Yevgeniy Garanichev is similarly unwavering on the second position. Anton Babikov from Bashkortostan, Alexander Povarnitsyn from Udmurtia and Sergey Korastylyov from Krasnoyarsk Krai will compete for a place in the top three of the Russian championship. Maksim Burtasov takes the leading position in the standing of the Cup of Russia, but a sportsman from Yugra Vadim Filimonov still has a chance to outrank him. The leader of the women’s rating Ekaterina Yurlova-Perkht from St. Petersburg misses the championship of Russia and leaves chances for the first place to Svetlana Mironova. To do this the representative of Sverdlovsk Oblast should get on the podium in each of the three races. Victoria Slivko and Irina Starykh from Tyumen Oblast will compete for the third place. Tamara Voronina from Sverdlovsk Oblast takes the leading position in the overall standings of the Russian Cup with a gap of more than 100 points.